Home » Blog » Why VBAC? 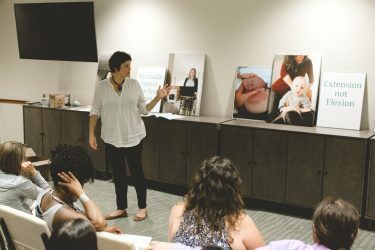 Although the benefits and risks of vaginal birth versus cesarean birth are part of the Midwives of New Jersey’s everyday life, we recognize that most of the world never considers that they have a choice. They believe cesarean is performed only when absolutely necessary and that the complications of a Vaginal Birth after Cesarean (VBAC) are avoidable because surgical birth is safe. Even if a woman recognizes that occasionally cesareans are done for “convenience”, she usually cannot see that her own cesarean was a result of the influences of the medical, legal, pharmaceutical and financial systems surrounding childbirth in the United States. She will rarely consider that she herself could have made different decisions that would have led to entirely different birth experience. Improving Pregnancy and Birth Outcomes in New Jersey is the primary goal at the Midwives of New Jersey. A huge part of that is using our proven program to avoid Primary Cesarean and offering VBAC to our clients. Facebook LIVE gives us a forum to discuss topics like VBAC. Watch Lisa Lederer Midwife on Facebook Sunday night at 9pm. This past week on Facebook Live, Lisa hosted 6 moms who have had VBAC births to discuss why they chose to attempt a VBAC. For a reminder to tune in and to post your questions, FRIEND Lisa Lederer Midwife. Be sure to share this important topic with your friends and family. Why the World Needs Midwives! Why Try VBAC (Vaginal Birth After Cesarean Section)?